A U.S. Department of Health and Human Services initiative to decrease obesity and smoking could also help decrease health disparities that affect blacks and Hispanics. With nearly 37% of African-American children and 43% of Mexican-American children obese or overweight, compared with about 32% of white children, ethnic communities can apply for grants to improve access to healthy foods and physical activities. These Communities Putting Prevention to Work grants can also be used to enact smoking cessation programs, since African Americans are more likely to develop and die from lung cancer than any other racial or ethnic group. Organizations can apply through the Chronic Disease Prevention in U.S. Communities program. Funded by the Recovery Act, the $650 million initiative, allots $373 million to policies, such as clean-indoor-air laws and/or physical education programs, and the remainder will be used for additional support and evaluation. 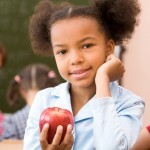 PolicyLink, an organization that advocates for economic and social equity, has previously petitioned the White House to provide funding for programs that promote healthy food in schools and communities and healthy and safe places to live and play.